The city’s name is from the Irish name for the River Corrib which is the smallest river in Ireland, Abhainn na Gaillimhe (“Stony River”), which formed the western boundary of the earliest settlement, Dún Bhun na Gaillimhe “Fort at the mouth of the Gaillimh”. 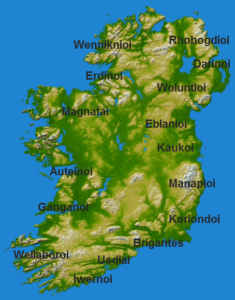 Historically, the name was Anglicised as Galliv, which is closer to the Irish pronunciation as is the city’s name in Latin, Galvia mentioned by Greek philosopher Ptolemy in the 1st Century. 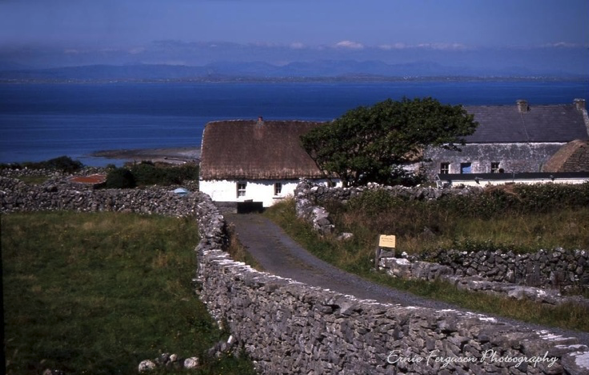 The city also bears the nickname “The City of the Tribes” because of the fourteen merchant families called the “tribes of Galway” led the city in its Hiberno-Norman period. The term tribes was a derogatory one, because the merchants saw themselves as Anglo-Irish and were loyal to the King during the English Civil War. They later adopted the term as a badge of honour and pride in defiance of the town’s Cromwellian occupier.